Tossed with feta cheese and marinated in a fresh lime juice and olive oil vinaigrette dressing. Penne pasta, Kalamata olives, parmesan cheese, and basil pesto sauce. 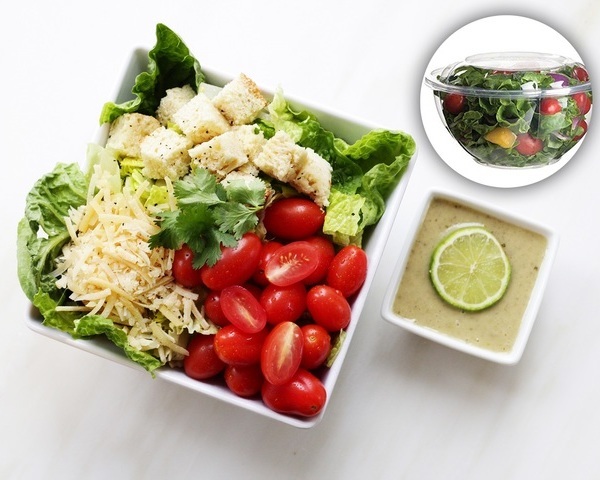 Romaine lettuce, house-made croutons, cherry tomatoes, parmesan cheese, and caesar dressing. 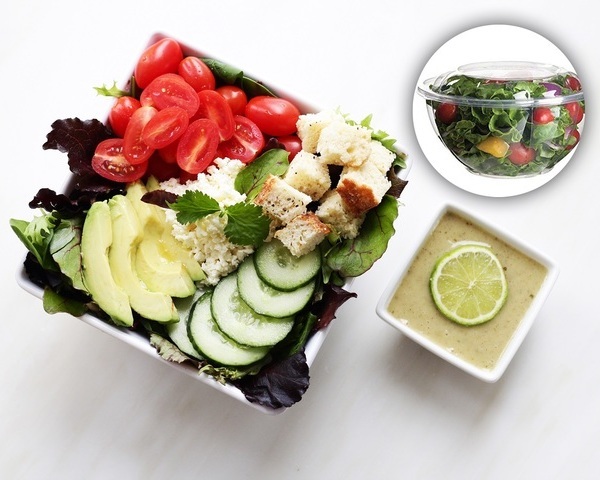 Mixed greens, tomatoes, cucumbers, feta cheese, house-made croutons, and balsamic vinaigrette dressing. Cooked red potatoes, fresh chive, chopped celery, fresh black pepper, and mayonnaise. 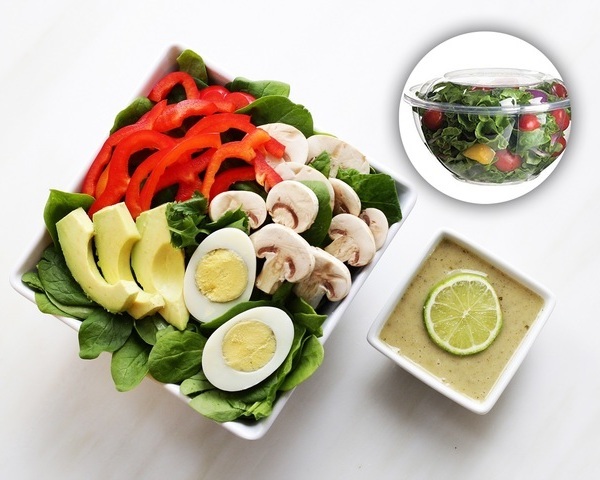 Spinach leaves, mushrooms, hard-boiled eggs, red bell peppers, avocado, and lime vinaigrette dressing. 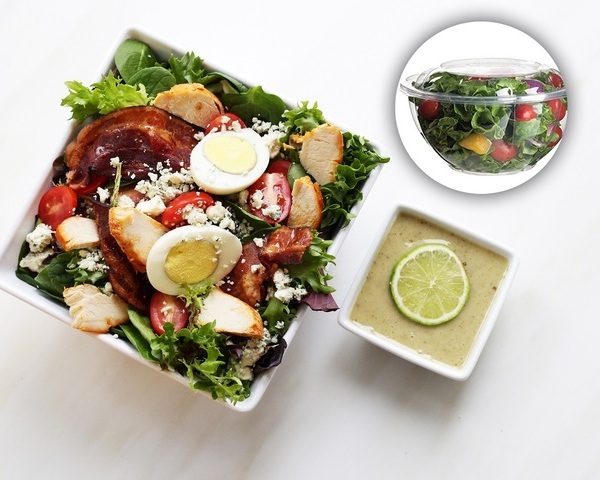 Mixed greens, bacon, blue cheese, hard-boiled eggs, cherry tomatoes, and lime vinaigrette dressing. 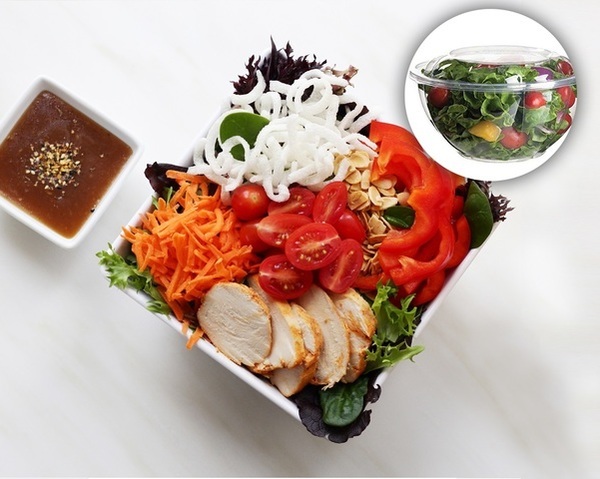 Mixed greens, carrots, bell peppers, tomatoes, almonds, fried noodles, and sesame soy dressing. 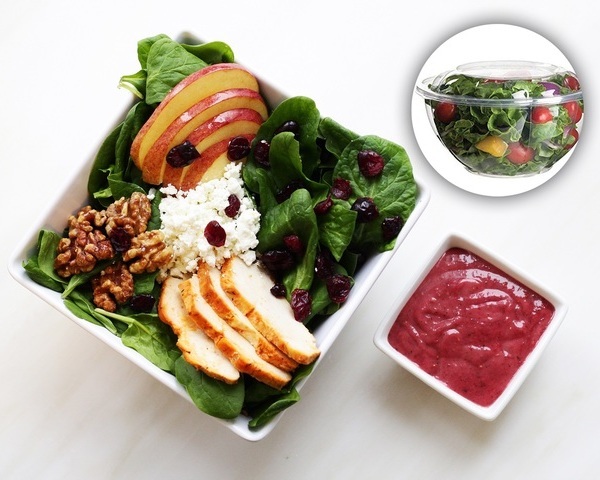 Spinach leaves, dried cranberries, walnuts, goat cheese, apples, and raspberry dressing. 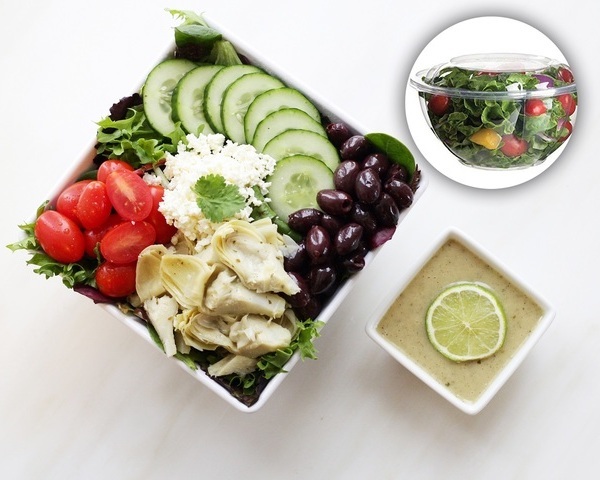 Mixed greens, artichoke hearts, tomatoes, Kalamata olives, cucumbers, feta cheese, and lime vinaigrette dressing. Imported mozzarella cheese, cherry tomatoes, fresh basil, and pesto dressing. 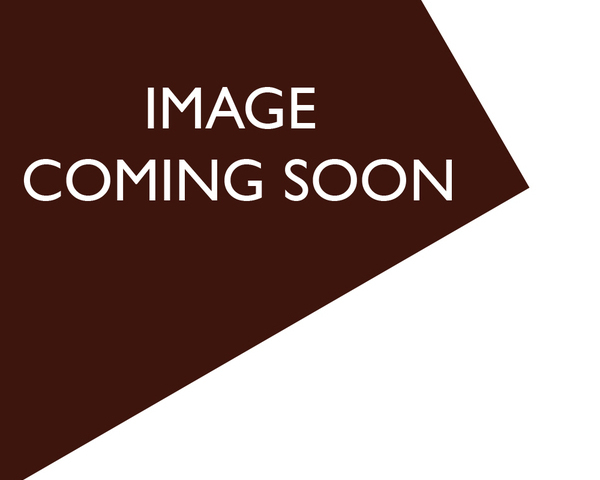 Orzo pasta, black beans, red peppers, and olive oil.